The Porcelain berry has deeply lobed leaves when fully mature and bark that does not peel, like it’s wild grape relatives. 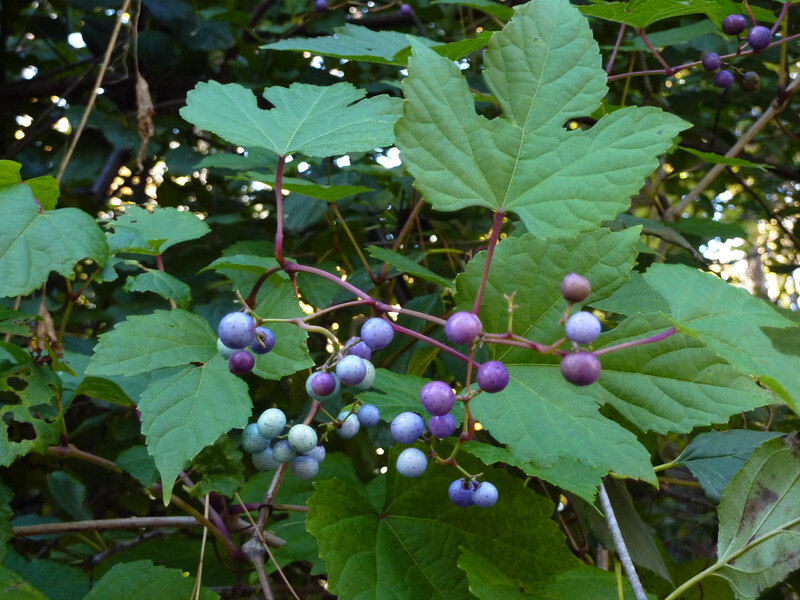 Bright multi-colored berries change color as they mature ranging from green, to deep lilac to bright blue. Gardeners across the state, as well as residents and visitors to Brown and Door County, should pay close attention for this species where is it was known to be sold at local markets.